Families with children eligible for the Illinois Early Intervention Program often have questions about paying for services. What services are provided at no cost to the family? All evaluations and service coordination provided through the EI program are free. If your child is eligible and you enter the EI Program, staff will work with you to develop and coordinate your Individualized Family Service Plan (IFSP) free of charge. If you speak a language other than English, the program will provide services in your native language. What does the IFSP include? 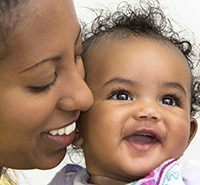 Your plan states what outcomes are most important to your family and what services are needed to meet the unique needs of your child and family. You will work with a service coordinator to identify providers, such as speech and language therapists, to work with your child and family. 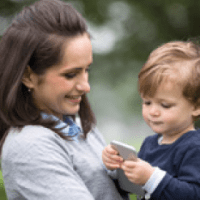 What is the family participation fee in the Illinois Early Intervention Program? Families may pay a family participation fee for early intervention services. This fee is set each year and is based on your income, family size, and whether you have excessive out-of-pocket medical/disaster expenses. Your service coordinator can give you information on what your fee will be. If you do not wish to disclose your income, then you will pay the highest fee. 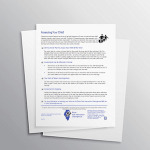 Monthly statements are sent to your family indicating the monthly installment as well as the amount the system has paid for your child’s services. Families never have to pay more in fees than the system pays for the services. How does using my private insurance help? Private insurance can help reduce the amount the EI system pays for your child, potentially reducing your family participation fee. If you use your private insurance for services provided by the EI program, EI payments may help you meet your annual deductible. Also, you will not be billed for co-pays for EI services. Any services not covered by insurance are billed to the Illinois EI program. You should discuss your insurance and the billing process with your service coordinator and providers. How does providing access to my public benefits, such as All Kids, help the EI program? The early intervention program can obtain partial reimbursement for certain services when families provide this access. This provides another potential source of revenue to the overall program. If you don’t have public benefits but think you may be eligible, talk to your service coordinator about completing an All Kids application. What does “giving informed consent to use insurance” mean? You will be asked to sign a consent form. Signing this consent allows the Illinois EI program to contact and bill your insurance provider for EI services. Why doesn’t the Illinois EI program just pay for everything? The EI program is the “payer of last resort”. That means all other available funds must be used first. The EI program receives federal funds, but these don’t cover the full cost of the program. The state also provides money to support the EI program. Money from private insurance and family participation fees are important supports for the program. They help the program continue to provide high-quality services to all eligible families. If you have additional questions, please contact your service coordinator at your local Child and Family Connections office. For the number to the CFC office in your area, please call 1-800-323-4769. If you would like additional resources on early intervention topics, another free service is the Illinois Early Intervention Clearinghouse. The EI Clearinghouse is designed for families who use EI services, and its Web site, http://eiclearinghouse.org, provides a variety of EI information. It also includes a link to its free lending library where you can borrow books and videos (at no charge) that will support you during your time in the EI Program.